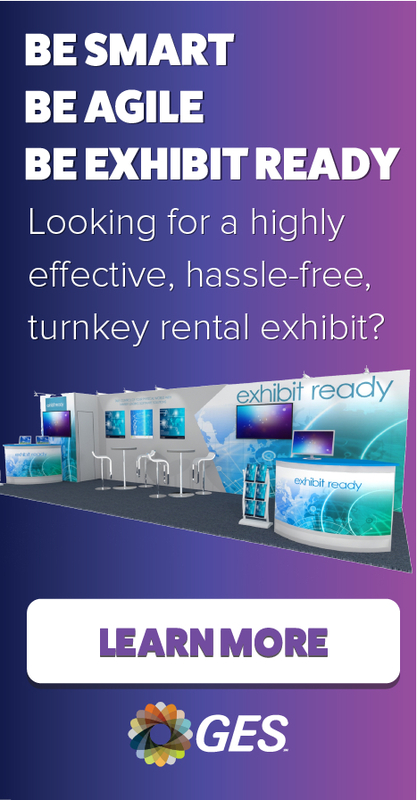 Welcome to the signature mix™ marketplace Exhibitor Set-Up Manual! As the official service provider for this event, Global Experience Specialists, Inc. (GES) hosts this manual. GES provides many of the logistics and decorating services you will need. Electrical services are provided by the Javits Center, and foam board – a most popular choice for back and side walls - is provided by Manny Stone Decorators. Detailed contact information for these and other widely used service providers is noted in this manual. You can easy and efficiently place orders for all services through GES Expresso. Before you begin, you will need to log in and create a username and password. If you exhibited last year, you can use the login you created. Even if you think you know everything about move-in, set up procedures change from year to year. We urge you to carefully read through the manual! We have provided a checklist of action steps and associated deadlines for you to have on hand. Keep in mind that adhering to deadlines can save you a lot of money. If you have any questions about this manual, please contact either GES at (800) 475-2098 or NSS2014@ges.com or the GLM Operations Department at (914) 421-3344 or ops@glmmarkets.com. Please Note: Shipments arriving before Friday, April 11, 2014 will incur a storage fee, and shipments arriving after Monday, May 12, 2014 will incur a Late to Warehouse Fee. May 15, 8:00 AM To 5:00 PM Reference Targeted Floorplan for Dates & Times. May 16, 8:00 AM To 5:00 PM Reference Targeted Floorplan for Dates & Times. May 17, 8:00 AM To 5:00 PM Reference Targeted Floorplan for Dates & Times. 5/15/2014 8:00 AM To 5:00 PM Reference Targeted Floorplan for Dates & Times. 5/16/2014 8:00 AM To 5:00 PM Reference Targeted Floorplan for Dates & Times. 5/17/2014 8:00 AM To 5:00 PM Reference Targeted Floorplan for Dates & Times.